As the world goes mobile with smartphones and tablets, there’s still one thing that has not changed much in the recent times – the printer. And when dealing with these devices, not only do you need different printer drivers for different operating systems, you also need to keep updating the drivers to the latest version. When you want to print an important file, you may run into many problems which can be very frustrating. Not to mention the fact that your computer needs to be physically connected to your printer, or at least to your network. In a ‘Mobile World’, this may not be true anymore. Never needs updates – I don’t want to waste my time updating my drivers. Is OS agnostic – the driver must work on all operating systems. Is device agnostic – the driver must work on all devices. Is printer agnostic – I don’t want to upgrade the driver even when I upgrade the printer. Is network agnostic – the driver must work across networks or even over the Internet. Is secure – the driver must be secure over the network or the Internet. Is self-fixing – the bugs in the driver must be fixed automatically by the printer manufacturer. I was wondering if there could be a driver that fulfills my stringent criteria. And then, I found my ideal printing solution – Google Cloud Print. 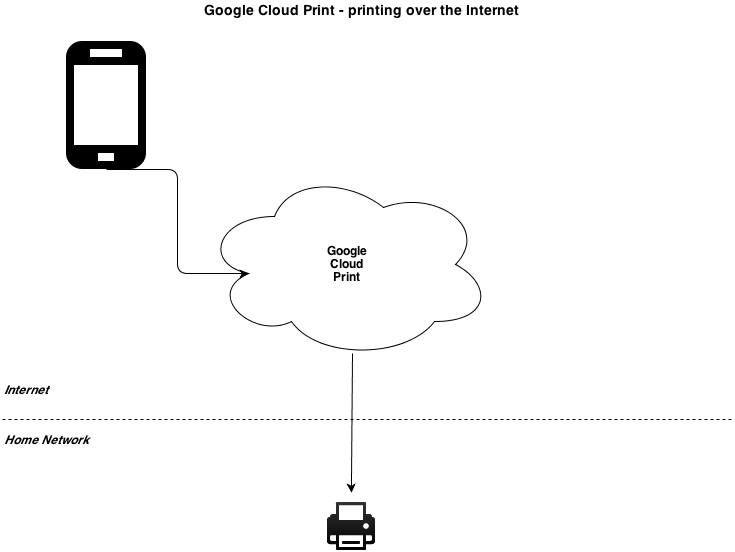 Google Cloud Print lets me print from multiple devices and even print over the Internet! All you need to make it work is a Cloud Ready Printer, an Internet connection, and a Google (Gmail) account. 1) Connect the Cloud Ready printer to your router over Wi-Fi or via ethernet. 4) Enter your Google (Gmail) user name and password. This step authorizes your printer to receive print jobs from Google Cloud Print. 5) After configuring your printer to receive print jobs from Google Cloud Print, your Google email will be displayed as the registered email. 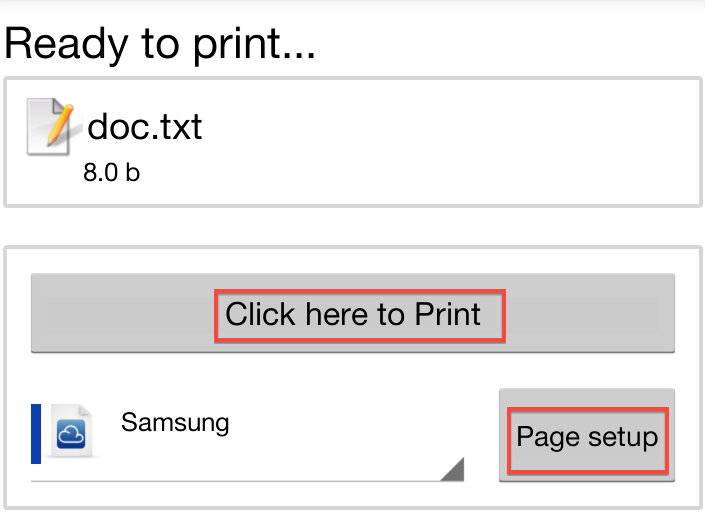 How do I print a document using Google Cloud Print? 1) Open Cloud Print. 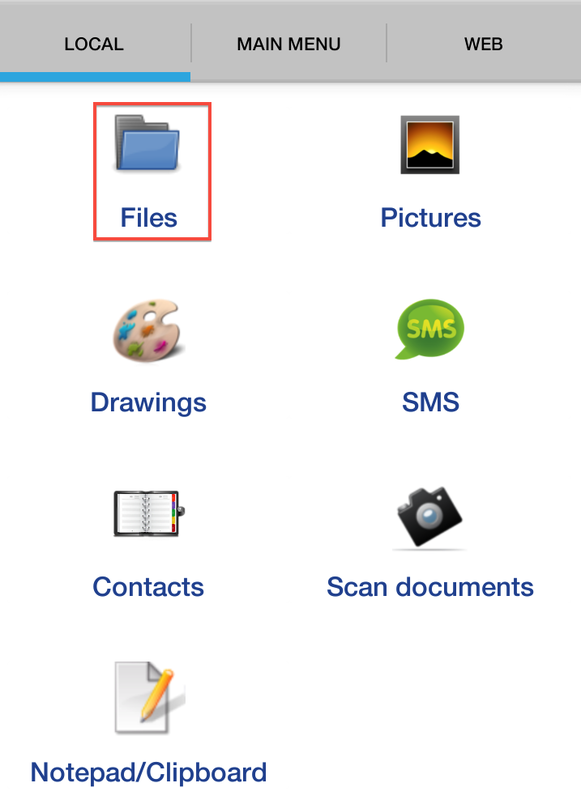 Click Local > Files to access files available locally on your phone. 2) Select any file and confirm the print action. 3) Modify the Page Setup and print the file. The file is immediately printed over the Internet! If you have multiple devices, with multiple operating systems, you need not worry anymore. Google Cloud Print automatically manages the drivers for all devices. All you need is a Cloud Ready printer connected to the Internet. With Google Cloud Print, you never have to update the printer drivers. Even if you change your printer, you never have to reinstall the drivers. 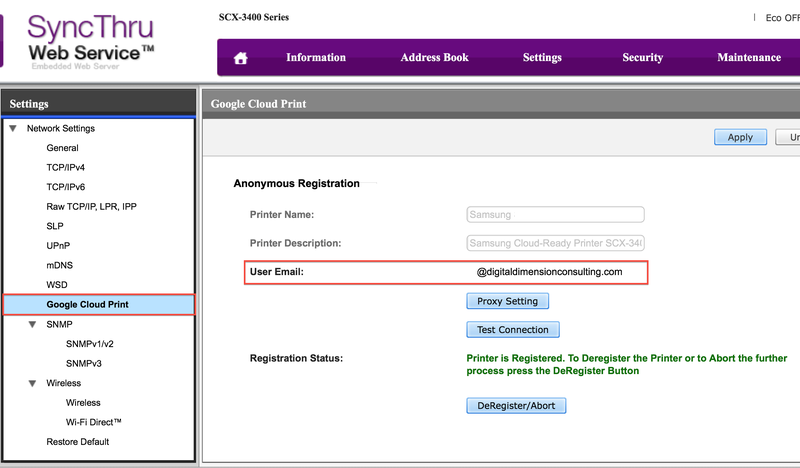 The only thing you need to do is ‘authorize’ your printer to accept print jobs from Google Cloud Print. Is Cloud Printing useful for business? Google Cloud Print could be a game changer for IT departments in small business. With Google Cloud Print, small businesses could avoid having a computer at various warehouse locations and just schedule a print job over the cloud. 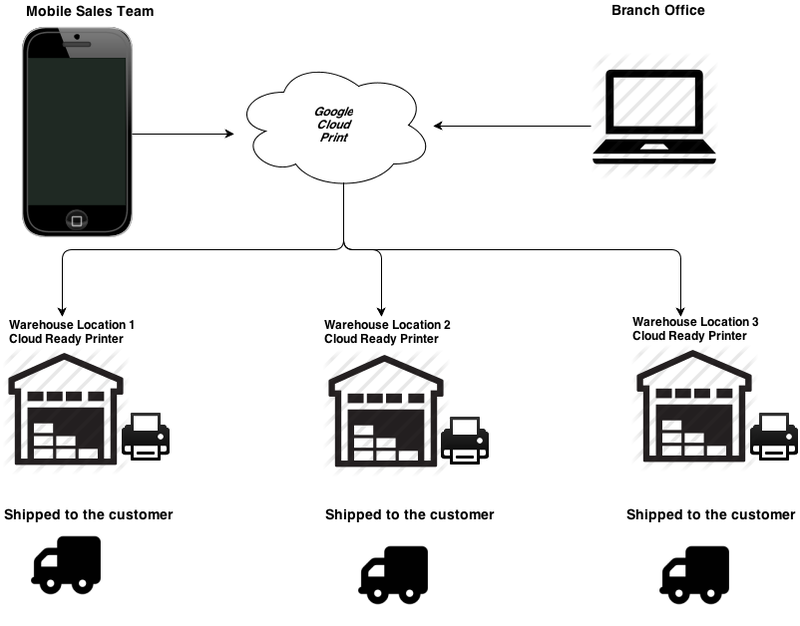 The mobile sales teams in various shopping malls (or the branch office) accept orders and send the print jobs to the cloud ready warehouse printers. The warehouse employee creates a package and pastes the shipping label on the package. Since warehouses do not have computers, there is no computer maintenance required. Google Cloud Print not only saves money for small businesses, but also reduces the hassle of managing computers in multiple locations. It’s really cool isn’t it? It’s time you upgraded to a printer that supports Google Cloud Print. Because, printer drivers could soon become extinct. It would be interesting to see how Google Cloud Print evolves in future. I would’t be surprised if Google adds multiple features like Cloud Scan or Cloud Fax considering the fact that most Cloud Ready Printers are Multi-function printers (printer, scanner, fax, and copier). The next time you want to print an important document, don’t wait till you get home. You could print remotely when you are on your way home in your car or on the train. Better still, you could print from halfway across the world, and your printer will still finish the job right away like a humble minion. I am sure most of us have multiple mobile devices at home, such as smartphone, a tablet, or the distant cousin of the smartphone and tablet – the phablet. These mobile devices may be a combination of iOS, Android, and Windows Mobile. With our kids, spouse, and parents using mobile devices, it becomes imperative for us to manage all these devices from a single interface. Especially with less technical users, it is important to manage tracking, apps, and other settings on the devices for them. Track my devices: Where are the devices right now? Where have the devices been? Monitor my devices’ data: How do I monitor call history, Wi-Fi networks that the device has connected to, and Apps installed on the device? Manage apps on my devices: How do I install an app on all my devices remotely? Can I delete Apps from my devices remotely? Protect my devices: How do I enforce a Password Policy, remotely lock, or remotely wipe the device? I want to manage my mobile devices at home (for my family). I have no money to buy an MDM solution for my home. I don’t really have the training required to use an MDM solution. The answer to my problem is the Mobile Device Management solution by a company called 3CX. This MDM solution is cloud-based and so there is no installation required except on the mobile devices you want to manage. The 3CX Mobile Device Management solution is easy to use, has a web-based interface, and lets you manage up to 5 devices for free. Go to http://www.mobiledevicemanager.com/ and sign-up. To activate the account, click the link in your email. Download and install the 3CX MDM App on the Android and iOS devices. When prompted, I logged in using using the credentials I created in step 1. Go to http://www.mobiledevicemanager.com/ from any browser and log in. Go to the Pending Approval node and approve the devices. And Voila! The devices are visible on the web-based dashboard. The interface is clean and easy to navigate. I’ll talk about a few cool features of the MDM solution. 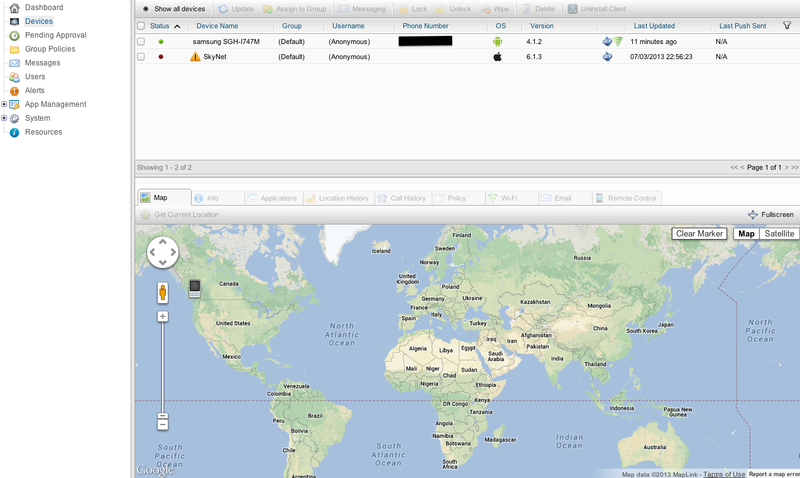 I’ve added some screenshots of the MDM solution. You can click the images for a larger view. The Devices node lets you manage all your devices from a single interface. As you can see, both my devices are listed. One interesting feature is that the node shows you the last time when your device checked-in. Messaging – you can send a message to the device directly from this interface. Lock – you can lock the device remotely. Unlock – you can unlock the device remotely. You can also set a passcode. Wipe – if the device was stolen, you can wipe the data on the device remotely. The following tabs show a lot of useful information. 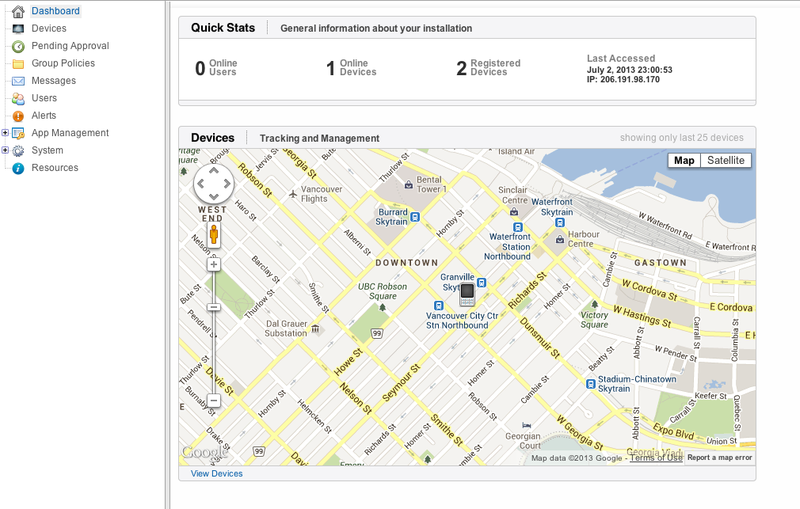 Map tab – displays the current location of the device. The Info tab shows useful information about the device. I found it interesting that it was able to tell me if the device was charging or on battery. Interestingly, it displayed the memory and CPU usage too! The Applications tab shows the list of applications installed on the device. The Location History tab shows all the locations where the device traveled to in a certain time frame. The grid shows a time stamp, address, and location co-ordinates. The location is accurate to a few meters. The Call History tab shows a list of all outgoing and incoming calls with the duration. The Policy tab lets you manage the usage policy. You can also enforce a password policy, if necessary. The Wi-Fi tab shows all the Wi-Fi networks the devices connected to in a certain time frame. Interestingly, it also displays the security type and the visibility of the Wi-Fi networks that the device connected to during those times! The Email tab lets you configure an email account on the device remotely. The MDM has a Tree pane and an expandable node for easy navigation. You can expand nodes that have one or more sub-nodes. Dashboard – a snapshot of the managed devices. Devices – list of managed devices and detailed information shown through various tabs as described in the previous section. 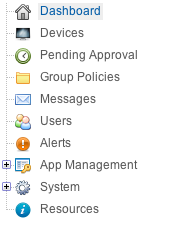 Pending Approval – lets you approve the devices before managing them. Group Policies – lets you define the behavior of certain settings. For example, your Password Policy. Messages – lets you send messages to online devices. Users – lets you add, modify, or delete users. Alerts – lets you configure alerts for various actions performed by the device or the user. App Management – lets you manage the Apps on the devices. (I will explain App Management further in this post). System – settings for the Administrator. Resources – help files and other useful links. 1) Installed Apps – shows the list of apps installed on your managed devices. You can select a particular app and click Remove Application to remove the app from the device. 2) App Repository – shows your own App Repository. You can create your own App Repository by adding apps from iTunes or Google Play store. You can use this repository to quickly install apps onto the managed devices. 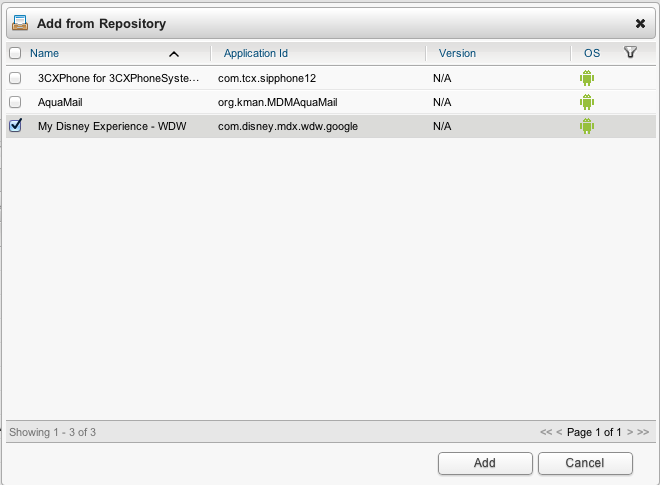 For example, if you are going to Disney world, you can add the Disney app to the repository. You can then easily deploy this app onto the devices used by your family. Once you have an app to the App Repository, go to Devices > [Your Device Name] > Applications (tab) > Add from Repository (button) and select the app from the dialog that opens. Select the App you want to deploy to the device and click Add. 3) Whitelisted Apps – users of your mobile devices are allowed to download these apps. For example, I added the weather app as a Whitelisted App. The users of my managed mobile devices can now install the weather app. 4) Blacklisted Apps – users of your mobile devices are not allowed to download these apps. For example, I added a poker app as a Blacklisted App. Homes and people are now connected via mobile devices. With more and more devices entering our homes, the safety, security, and management of our mobile devices become a critical task. Consequently, Mobile Device Management solutions are not meant for corporates alone. Homes need MDM solutions too. Needless to add, you are now the IT administrator of your connected home. 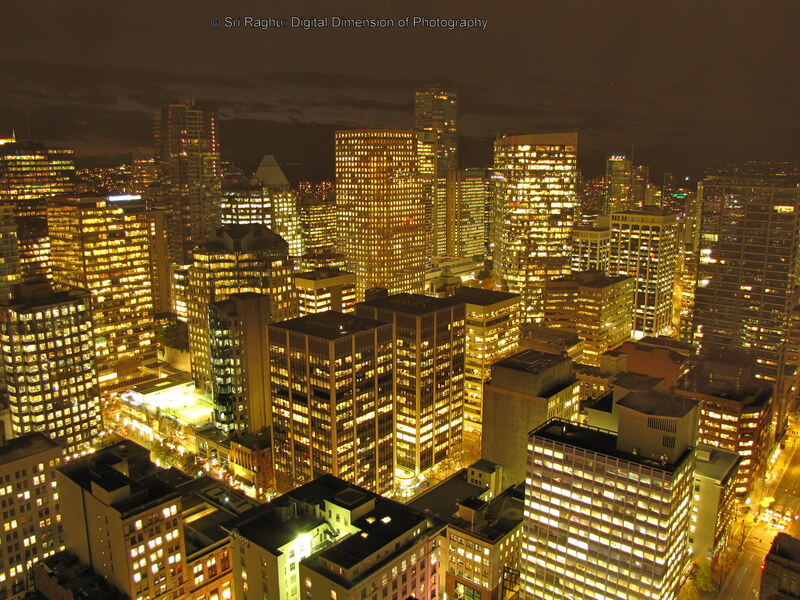 Disclaimer: The Digital Dimension of Technology is an independent non-commercial technology blog. We have not been endorsed by 3CX. Mobile Payments: Leave your wallet at home! How many times have you rushed to work only to realize that you have forgotten your wallet at home? Well, the only option then is to borrow money from your co-workers (for lunch or the odd coffee) and this can be quite embarrassing! And now think about the one thing you never leave home without these days? You guessed it right – your mobile device. People are glued to their smartphones throughout the day and sometimes, even in bed. The mobile world presents a great opportunity for any seller to accept payments using your mobile phone. If your mobile phone was also your wallet, you would never have to carry your “real” wallet. Just out of a curiosity to see how such a concept would work, I decided to install a mobile payment app on my Android phone. Before paying using my smartphone, I had to enable NFC, download the mobile payment app, register my credit card, and configure the app itself. 1. Enable NFC: First, I enabled the Near Field Communication (NFC) feature on my Android phone. NFC allows smartphones to communicate with other devices in the vicinity. The communication is encrypted. Smartphones that do not have NFC cannot be used for mobile payments (for example, the iPhone). As soon I enabled NFC, a N sign appeared on the top of the screen. 2. 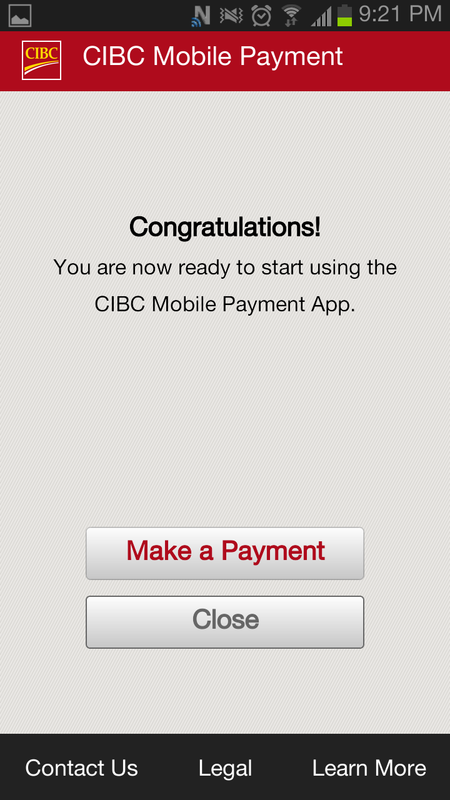 Download the Mobile Payments App: I downloaded the CIBC mobile payments app. You can download the mobile payments app for your credit card/bank. 3. Call the bank to activate: There was a manual process involved with CIBC. 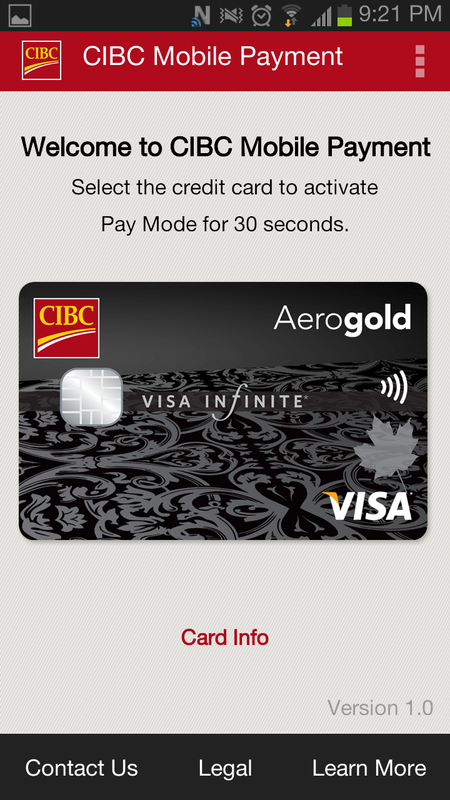 I had to make a phone call to CIBC to activate mobile payments for my credit card. 4. 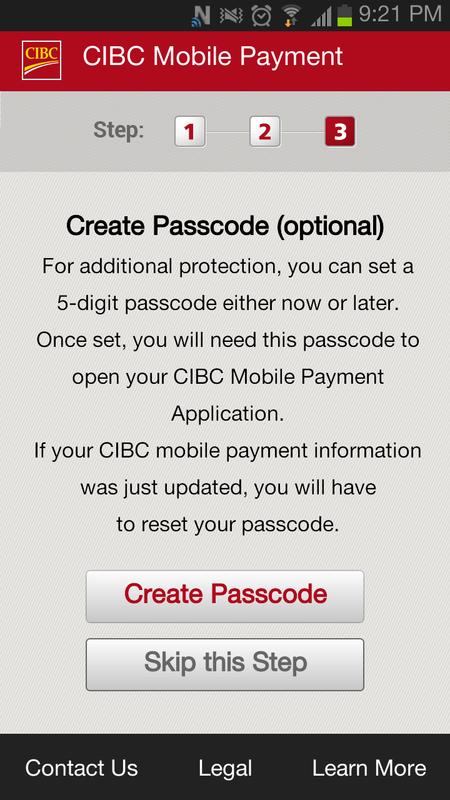 Receive notification from CIBC Mobile Payments: Once I received the notification, I knew the activation was successful. 5. Set a password: This step is optional. For security reasons, it is better to set a password – just in case your mobile phone is lost or stolen. The configuration was complete and the app said ‘Congratulations!‘. Once the setup was complete, I tried to figure out how I could make a payment. Surprisingly, making a payment was extremely simple. 1. 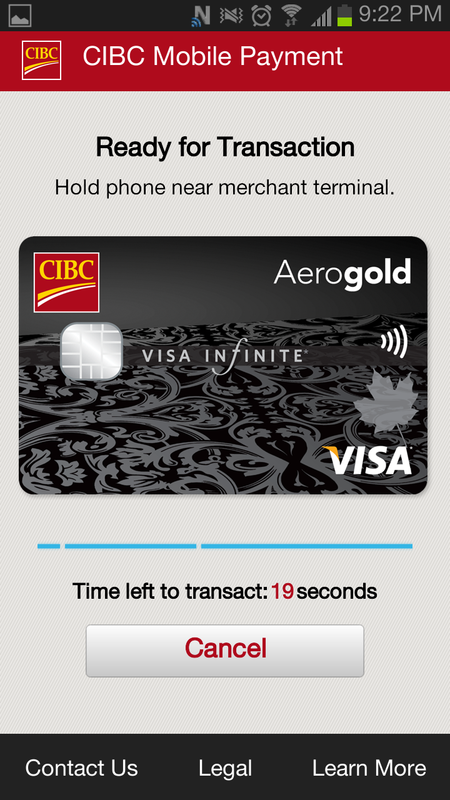 Launch the Mobile Payment app (CIBC) on your smartphone. Enter your password if you have set one. 2. Tap the credit card to activate Pay Mode for 30 seconds. 3. Tap your phone on the payment terminal. You can also move your smartphone within 10 centimeters of the payment terminal. The payment is processed. Call the bank to add your credit card. This ensures someone else is not activating your card. Password on the mobile payments app. This is in addition to the password on your phone. Pay Mode deactivated in 30 seconds. This ensures that your credit card information is not read from your phone when you don’t want it to be read. You are always in control. Communication between the smartphone and the terminal is always encrypted. You don’t need to carry your wallet. Reduce credit card theft. Since you are not swiping your credit card anywhere, it cannot be read by hackers. Any terminal that accepts VISA payWave® or MasterCard PayPass™ will also support NFC transactions. There aren’t many touch-to-pay terminals at the moment. Not all credit card companies offer mobile payments. Not all mobile carriers offer mobile payments. You need a separate SIM card to enable mobile payments (provided by the carrier). If smartphones are lost or stolen, the credit card details can be extracted by a smart hacker. The smartphone industry is growing at an alarming pace. Up until yesterday, your smartphone was your computer, camera, and maybe even your bathroom mirror. Today, smartphones are credit cards and mobile payment terminals. You can now forget your wallet at home and you don’t need to borrow lunch money from your co-workers! Disclaimer: The Digital Dimension of Technology is an independent technology blog. We have not been endorsed by Rogers, Samsung, CIBC, or Google (Android). We do not endorse the security, usability, and reliability of mobile payments. Have you ever pushed your device to the limit? Have you ever made your device do what it was not meant to do, like over-clocking your CPU or Jail-breaking your iPhone? I just did something like that. Only it’s something much safer than over-clocking or jail breaking. And I did it to my camera. I have been using a Super Zoom camera for a while now. A super zoom camera comes with a lens that can go from a Wide Angle to Super Zoom. 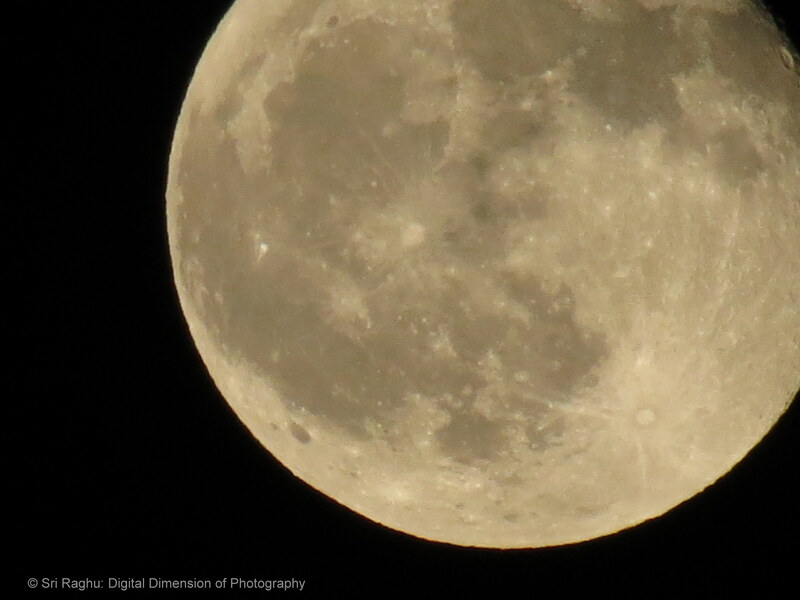 The Canon SX 40 HS is a good example as it can go from 24mm (wide angle) to 840mm (super zoom). There are some advanced features that are not available in a Super Zoom. One of the most important missing features is a Remote Shutter Release option. Some DSLRs come with a Wireless Shutter Release option where you can mount your camera on a tripod and take the picture without touching the camera. In such cases, I have either zoomed in quite a bit, or am taking the picture in low light conditions. The slightest shake translates into a very bad picture. To avoid shaking the camera in such cases, I usually activate the 10 second timer. But there is some residual oscillation (shake) which sometimes messes up the photos. Reading the camera’s user guide told me that that there was no inbuilt no Remote Shutter Release option available. I also visited many specialty camera in the hope of finding an external device that could act as a remote shutter release. To my utter disappointment, I could not find such a device. Check the firmware version on your camera. Download the correct build based on the firmware version. Unzip it on your computer. Copy the CHDK files on the SD card. Insert the SD card in the camera and press the Review button. Go to Menu and update the firmware. The program is loaded into the memory temporarily. When you shut off the camera, it is removed from the memory. The program does not interfere with the manufacturer’s original firmware. CHDK also provides a detailed user guide. I searched the Internet and discovered that I have to build a remote shutter release device on my own. I found a great video of a camera user who had built a shutter release device from scratch. I could not follow the same path since I am not as tech savvy. Imagine the trouble if I were to solder a diode onto a circuit!. Moreover, being a technical writer by profession, I believe in simplicity. I wanted a solution that was simple, easy to implement, easy to use, and of professional quality. I could not build a remote shutter release device, and nobody sold one for my camera. It seemed like a dead end. Send > 4V on the data port of the camera to release the shutter. A very high voltage (> 8V) might damage the camera! Duracell USB Battery Backup: I used the Duracell USB Battery Backup to experiment with the Remote Shutter Release feature of CHDK. The Duracell USB Battery Backup is rechargeable, has an ON/OFF switch, and is slightly bigger than a matchbox. It has a USB (output) port for charging external devices and a mini-USB (input) port for charging the backup battery. 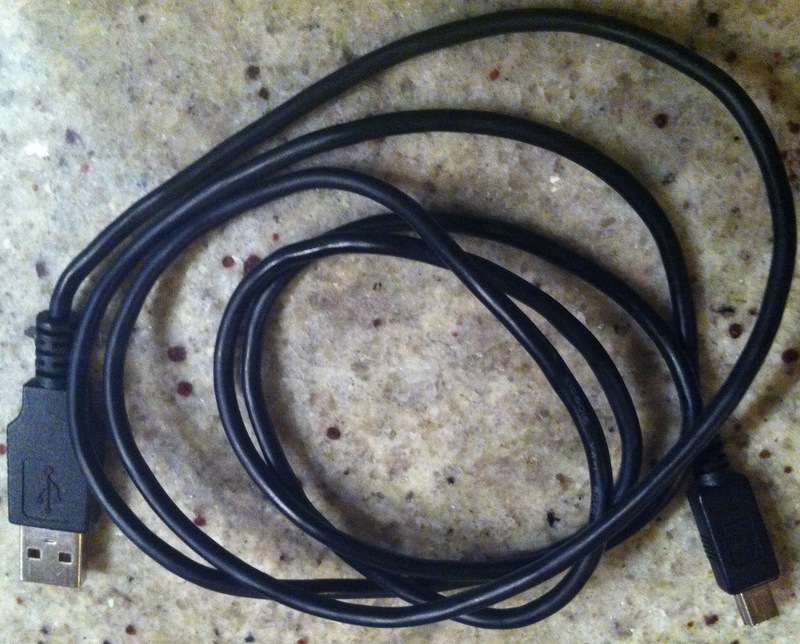 Mini-USB cable: I used a mini-USB cable for the solution. You can easily use the data cable that came with the camera. Connect the mini-USB cable to the camera’s data port and the other end to the USB port on the Duracell USB Battery Backup. Switch ON the Duracell USB Battery Backup and Switch OFF immediately. The camera focuses. Switch ON the Duracell USB Battery Backup and Switch OFF immediately again. The camera releases the shutter! And I am sure this solution will not damage the camera. Here’s the simple reason why: The camera is designed to use a mini-USB cable that is connected to a computer’s USB port (which has a ~4V output). The Duracell USB Battery Backup also has the same output since it is basically a USB port without the data transmission capabilities. I was amazed that another device could work as a remote shutter release for a camera that was not built to use one! Amazon, eBay, camera stores, and photography forums did give me ideas for creating this seemingly simple solution. So I thought I must share this discovery with all the other Super Zoom users out there that are also looking for something similar. Update: May 12, 2012: If you want to use a clicker-like device, the iGo Anywhere USB Micro/Mini Charger would be ideal. Instead of a switch, you could use the button to release the shutter. For more information about iGo Anywhere USB Micro/Mini Charger, visit the Source website here. I tested it out and it works perfectly fine.